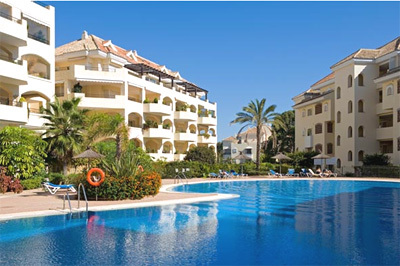 Looking for property on the Costa del Sol that is located in a position that provides easy access to other resorts? Then now is the time to think about looking at what is available at Hacienda Playa. This particular development is located in Elviria beside the beach. Hacienda Playa is located so you are able to easily access the main motorways and highways that can take you to other parts of the Costa del Sol. The town of Marbella is just 7 km (4.43 miles) away and should only take around 10 minutes to reach. Whilst further on is the resort of Puerto Banus which is where the rich and famous from across Europe like to spend time. Here you will find some of the best restaurants, bars and shops in this part of Spain. As well as Hacienda Playa having luxury 2 and 3 bedroom apartments there are a number of 4 bedroom duplex penthouses as well. They have all been finished to the highest standard possible and come with fully fitted kitchens, marble floors, hot and cold air conditioning systems and alarms. Plus each property within the development has its parking space in a garage plus a room in which items not required can be stored. To get from the underground parking there are elevators in each block. When it comes to a 2 bedroom apartment in Hacienda Playa these measure between 106 and 119 metres square and come with a terrace measuring either 40 or 45 metres square. As for the 3 bedroom and 4 bedroom duplex penthouse apartments these are up to 200 metres square and all come with terraces that measure 175 metres square. The various phases that make up this development of Hacienda Playa have 24 hour security and their own private community gardens. Plus they also have a lagoon swimming pool as well as a pool for small children and babies. Also available in some of the phases of Hacienda Playa there are paddle tennis courts. In this exclusive development you are only just a short walk from Elviria’s wonderful beach and some really great restaurants and Hotels including the 5 star Don Carlos Beach resort and of course the world famous Nikki Beach. Located just across the motorway you will find more restaurants and bars along with a couple of supermarkets, pharmacy and even a dental surgery. 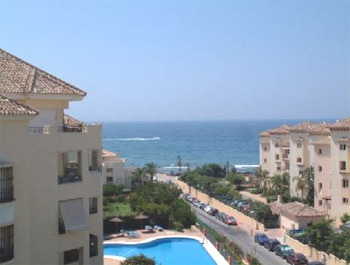 3 bed Apartment - Hacienda Playa Luxury 3 bedroom Duplex Penthouse with great sea views. 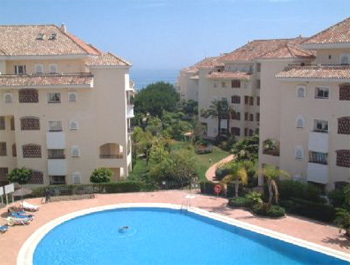 2 bed Apartment - Hacienda Playa Beautiful luxury apartments with lovely terrace and sea views. 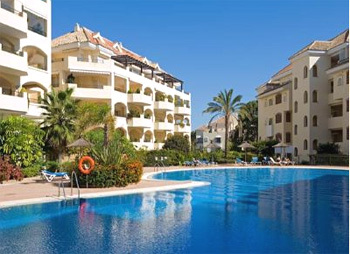 3 bed Apartment - Hacienda Playa This rarely available penthouse is situated in Hacienda Playa, Elviria. Built to a very high standard with air-conditioning hot & cold, alarm, marble floors with the added benefit of 2 underground parking spaces. Click the buttons below to see all our properties in Hacienda Playa.